How 1mg has emerged as Wikipedia of the medical industry? 1mg was started as HealthKartPlus by Prashant Tondon, Gaurav Agarwal and Vikas Chauhan. 1mg has now grown to be the Wikipedia of medicine for providing A to Z of medicines. The portal allows users to look for alternate medicines for a prescribed one and save up to 70-80% on the medicine cost. The online platform has made the medicine market easy to understand for the customers. Why we chose 1mg as Startup of the Week? 1mg is the Wikipedia of medicine. It gives the option to choose from the alternate medicines saving the cost over medicines. It has grown by 600% over the last year in terms of app downloads and user engagement. 1mg has over 5 M+ organic app downloads and 25 million monthly page views. It has three million unique visitors every month, making it the #1 mobile health services. com has acquired homeopathy medicines platform homeobuy.com. 1mg has recently acquired Medd.in. 1mg has raised $16 million in Series B funding. Earlier, it had raised $6 million funding from Sequoia Capital, Intel Capital, Omidyar Network and Deep Kalra, co-founder of MakeMyTrip. It has around 87K fan following over Facebook. People shop for clothes, shoes, food, grocery and other items online, then why not can they buy medicines online? Earlier people were in doubt while shopping online but now the time is changing or has changed. Online and digital has become a household word. People prefer more to online now. 1mg was initially started as HealthKartPlus as a consumer awareness platform to help users have a detailed information about the medicines. The portal gave alternative medicine to the users. The company got huge response from the users and users asked the company to start the delivery of the medicines too. Thus after lot of brainstorming, 1 mg was started. The idea was to make all the medicines available and deal with cost of the medicines. Soon investors shown interest in their idea and the company raised $6 million of funding to implement the idea and improve the technology. 1mg has most recently raised $16 million in Series B round of funding from Maverick Capital Ventures and existing investors Sequoia Capital and Omidyar Network. Earlier, the company had raised $6 million funding from Sequoia Capital, Intel Capital, Omidyar Network and Deep Kalra, co-founder of travel portal MakeMyTrip. Launched in 2013 as Healthkartplus, 1 mg has come a long way. It is known to be the Wikipedia of medicine. At present the company claims of more than 5 million app download and more than 3 million monthly visitors over the platform. It claims to have grown by 600% over the last year in terms of app downloads and user engagement. 1mg has over 25 million monthly page views coming from 3 million unique consumers who use its services every month, making it the #1 mobile health services. The company provides innovative healthcare content and tools and also operates India’s largest e-pharmacy and e-diagnostic network spread over many of India’s largest cities. The most number of users has been seen from metro cities like Delhi, Pune, Mumbai, Bengaluru, Kolkata, Hyderabad, Ahmedabad, Chennai, Lucknow, Indore, Chandigarh, Jaipur etc. 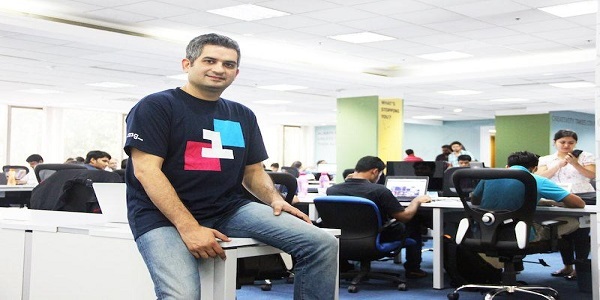 Talking about acquisition, 1mg has acquired homeopathy medicines platform homeobuy.com for an undisclosed amount. With this deal, 1mg.com enters the alternate Ayurveda-based and homeopathic medicines category. Most recently, 1mg acquired Medd.in this month. As a startup the company has a great vision and a strong team to expand and become a big player in the market. It’s all marketing now-a-days. The first thing what 1mg wanted was to make the city live on the website and the app. So they started building orders organically. The company used its app to spread information on medicines. They are using push notifications and emails to expand and let people know that they are live in their city. The company also uses offline advertisements depending on the city. They use newspaper advertisement and health camps to spread information. But a majority of their marketing is digital.